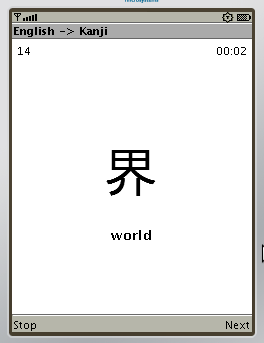 Practice remembering Kanji wherever you go. Contains all 2042 Kanji characters from Heisig's Remembering the Kanji. It makes a great companion to the book.